It is clear that the popular belief that restricting firearms possession will make crime go away, is not valid. This outright dismissal of the that belief however, raises a clear question. 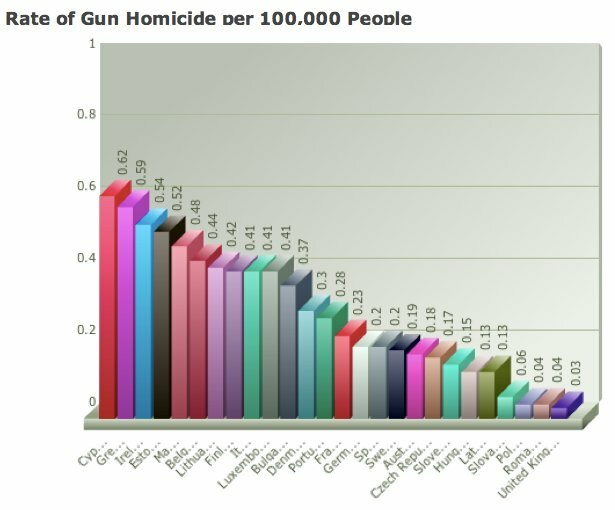 What is the driver for gun related homicides? I believe, deep down, we all know the cause of violent crime in our society but we choose to hide it behind easily digested restrictions, because it is quite challenging to handle and tackle the real issue. Society can only become better with education, prosperity and health. 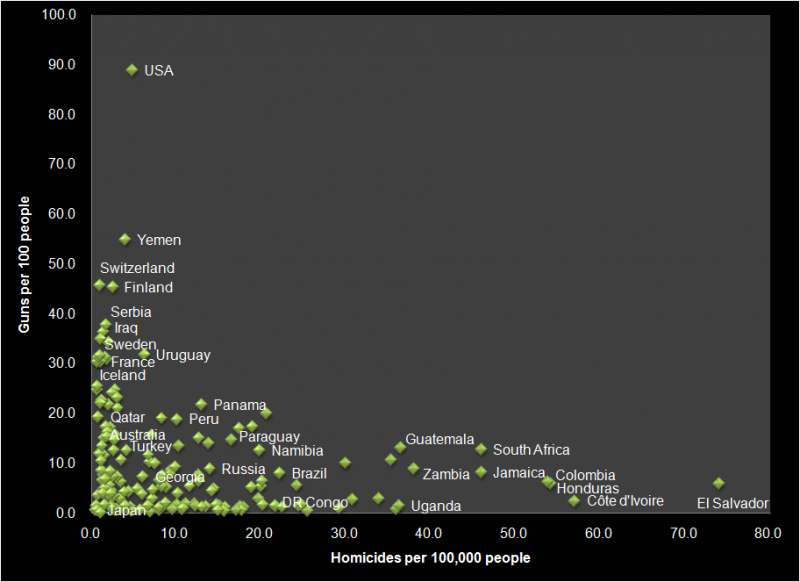 Simply put, higher human development lowers crime. 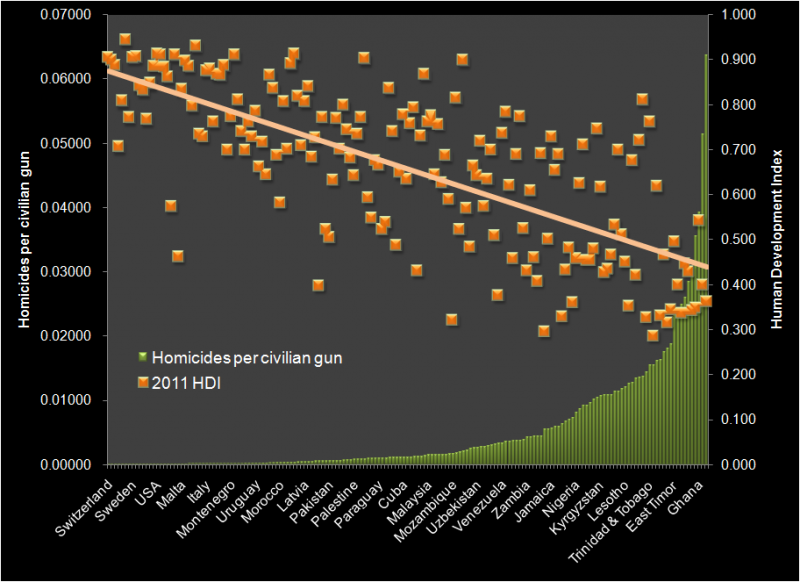 The chart below shows high negative correlation between homicides and the Human Development Index (HDI), which is a composite index for education, prosperity and health. When it comes to law and regulation, we should be very cautious and aware of democracy's inherent defect. Dismissing reality and numbers in favour of "popular beliefs" or as democracy defines it "popular vote", is a mistake. I am not dismissing popular vote, however popular beliefs should be based on numbers and reality, not instinct and misinformation. Hiding a problem behind a misguided and uneducated popular belief, just to enact an easily digested restriction, is only worsening people's quality of life and lowering their chances of further development. In simple terms, over regulation with no real effect becomes a self fulfilling prophesy of even more evils. The inability of regulators in Cyprus to keep up with information technology, control and regulate gaming properly, led to the recent complete ban on gaming. Besides the tax benefits the society looses, the ban now forces decent people to resort to an outlaw gaming community and the turkish and turkish - cypriot casinos. The complete ban and strict restrictions in bearing firearms is not working. The abolition of the "special policeman" regime in 2002 and the collection of all firearms from the ones in need of protection, is certainly giving the upper hand to outlaws, having unregistered - illegal guns in their possession. Maybe giving such an advantage to the perpetrator, is not the best way to go about. Maybe it's time for Cyprus regulators to face the reality, instead of being misguided by popular belief. 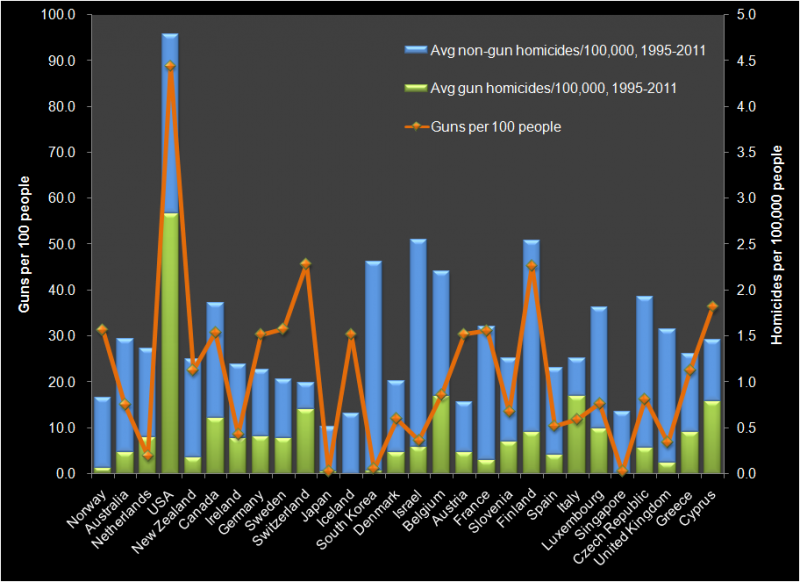 Gun possession is not correlated to gun homicides. Registered firearms don't kill. Registered firearms in the hands of a victim, deter the prospective offender. Registered firearms give fair chance to the victim to protect his/her life.